1. Like GYPSY MUSIC?? Come out on Friday Night (8:30-2am): Ederlezi Brass Party! What? Mark the spring holiday of EDERLEZI with a big Balkan Brass party that'll serenade your soul into a Gypsy rhythm. Indulge in hours and hours of live virtuoso performance, incredible dancers, slivovica cocktails and much much more! What? 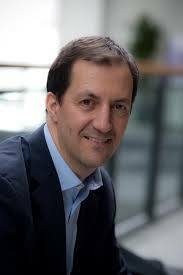 Keynote speaker Andrew Coyne (National Editor, Maclean's magazine & member of CBC's At Issue Panel) will reflect on the state of participatory democracy, voter engagement, and parliamentary accountability in Canada. Emcee Charles Demers will facilitate an "At Issue" panel discussion with members of the audience. 3. Seriously, do you like gypsy music? Then come Saturday Night (8pm til early morning!) to Feathers & Fedoras Party! + I must plug Northern Voice, Downtown Bhangra + Delhi2Dublin CD Launch Party as they are not to be missed events!